There’s nothing more typical, and more dispiriting, than a new author blog that has just started, and on which the writer is diligently posting articles, and wondering why no one seems to be noticing. Hey, we’ve all been there, and most blogs start exactly that way, particularly if this is the first blog you’ve ever worked on. It’s almost as if the process of doing all the technical work, setting up your blog, getting the theme right, the plugins all working, all the plumbing going right, is a distraction from this one fact: Where are the readers? Every blog starts with the counter at 1: you are the only visitor. Let’s face it, your whole blogging journey is going to be growth from here, there’s no other choice. One of the first things I learned about blogging was to not rely on friends or family to become blog readers. In fact, assume that they will rarely read your articles. So how does a blog go from a readership of 1, with no support from people close to you, to something alive, vital, and thriving? Where do all those people come from? How the heck do they find your blog in the first place, considering the sheer size of the internet? That’s where traffic comes in, and why you need to understand what it is, where it comes from and what you can do about it. And we’re going to go over each of those issues. But first, let’s take a high-level look at blog traffic to get our bearings. Organic traffic—This is what I call people who arrive at your blog by clicking a link somewhere that wasn’t paid for. In other words, it coincided somehow with their own interest or curiosity. People who click your own links, like the signature file you use in your email, or the link you use as a member of a discussion forum, or when people click your link in a social media profile. People who click other people’s links, for instance if you contribute a guest post to another blog with a link back to your own blog, or the link in an article that’s been republished from an article site. This also includes marketing you do like entering blog carnivals, and all the times other writers link to your articles. SEO traffic—I think of this as traffic that you attract from search engines by writing your blog posts in such a way that they aim at specific keywords that appear in people’s queries when they are looking for information in your field. Blogger tools like themes that help you optimize your posts, add-ins like Scribe (affiliate) that analyze your posts for SEO efficiency or other specific tools. 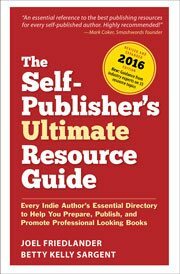 Hired SEO experts, not an option used by many indie authors that I know of. However, experienced SEO consultants can have a major impact on your blog’s search engine rankings. Pay per click, where you bid on specific keywords and then pay a small fee each time someone clicks the link that’s displayed on content-appropriate pages. Advertising, like running a banner ad on someone else’s blog, or running a Facebook ad campaign. Sponsorships in which you materially sponsor or co-sponsor a contest, an award or some other event that brings people to your site. Each of these three kinds of traffic can be used to bring new readers to your blog. In fact, there are specific strategies you can use for each of them. The great thing about working on traffic is that even small steps will have an effect. When you learn some of these strategies and apply them over time, the effects snowball. That’s when a combination of the links coming from your own efforts combine with the effect you have within your niche. Other people start linking to you because of the contribution you make with your articles and blog posts. Content marketing, the natural tool of the blogger, always starts with great, useful content. That’s what people will link to. As we continue to look at author blogging, we’ll also continue to explore each of these avenues by which readers find and reach your blog. And I’ll share with you the strategies I’ve used on my blog and the results they’ve produced so you can see firsthand how this all works. Super invrtmaoife writing; keep it up. I am also one of those diligently forging forward in the name of the crusade for traffic. The learning curve is steep and at least I now know about tag words and SEO, and the brass ring is a possibility. Thanks for a good article. Yeah, I’m THAT author. Don’t have too many readers so far but adding a Facbook page and plugin definitely helped. I think it’s mostly my own fault since I don’t just stick to one topic. The SEO aspect is definitely the way to go – Google Analytics monitors my keyword hits and they’re garnering the most readers. suzanne, does google analytics monitor your copy for embedded keywords, or just the ads? Adan, Google Analytics monitors the keywords that people use to find your site, it’s not involved with ads or content. It will show results for specific pages and posts, and lots of other metrics as well. ahhh, that sounds “extremely” useful, thanks joel!